Caleigh was diagnosed at birth with Cystic Fibrosis. Despite her diagnosis, Caleigh lived a normal childhood and participated in sports and social activities. At the age of 19, Caleigh moved to San Francisco to attend culinary school. Unfortunately, during this time, she found herself in end-stage lung disease. At just 23 years old, she was told she needed a double lung transplant to survive. Overnight, she went from being a pastry cook to not being able to achieve simple tasks, such as walking. When she found out she needed a transplant, she did everything she could to research transplantation. Caleigh was on the waiting list for 19 months, and on October 20, 2015, received her new lungs. Her double lung transplant lasted two years and allowed her to live a successful life. However, in January 2017, Caleigh found out that her gift of life was rejecting. Her health was deteriorating, but that didn’t stop her from living. In October, she married the love of her life, Bryan. By May 2017, she was in full chronic rejection. 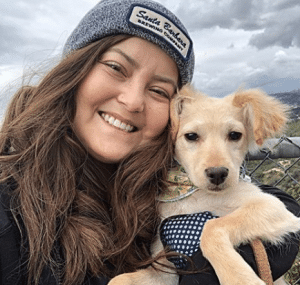 She would need another double lung transplant, and although she had trouble getting listed, she was accepted to UCLA’s transplant program in 2018. In February 2018, she was admitted into the hospital. Four months later, she received “the call” that a new set of lungs were available. She woke up breathing fresh air out of fully capable new lungs. Caleigh is extremely grateful for the gift of life and lives every day to its fullest potential. Although some days are difficult, she strives to live positively. 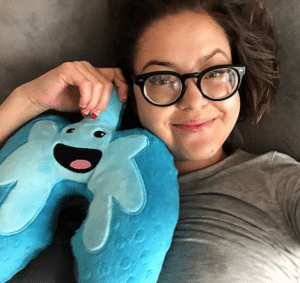 Caleigh raises awareness about Cystic Fibrosis and organ donation by sharing her journey on social media and through her foundation, Fight2Breathe.